Hello, and welcome to a new segment on the blog! Around the end of each month (or beginning of the next since I’m bad at this), I’m going to be talking about the books I’ve read during the month. Originally, I was just going to start reviewing books individually, but then you’d have a new blog every few days, and that seems excessive, so instead I’m going to put them all in one. Quick history. Way back in the day, I was not an avid reader. Sounds crazy, I know, but it’s true. Growing up, I read pretty regularly, but once I hit middle school, it was more about fanfiction than regular books. During high school, I really only read what I was supposed to during school and not much else beyond. In college, I was doing much of the same, but also reading a few books outside of my curriculum. This mostly consisted of reading (and rereading) Maggie Stiefvater and a handful of adult novels. I thought that when I graduated college, I would start devouring books left and right. Instead, I bought a bunch at one time, stuck them on my shelf, and forgot about them. Nothing was changing. In the year of 2014, I read 18 books. Eighteen. That’s how many I bought in a single week in August. (FYI, I’m not crazy, I had Goodreads back then, so I had begun logging the books I was reading.) In 2015, a little better, I read 34. I remember wanting to read 50, and just laughing at myself halfway through the year. There was no way, I thought. Last year, I read 64 books. Finally, life was beginning to change. Why? Well, I no longer had required reading, I had a normal, 9-5, no weekends job, and I had finally (finally, oh my gosh) started reading YA outside of Maggie. So, here we are. So far, this year, I’ve read 57 books, and my goal is 75. Almost there! This month, though, I’ve read 6, so let’s dive in! Review: I’d never heard the term auto-buy author until recently. Apparently, it’s an author that you automatically buy a book from, even if you have no idea what it’s about. This is not one of those books, but this is one of those authors. This is the second in a series of middle reader books about a young heroine who can communicate with mythical creatures and her best friend, who is highly allergic to almost all mythical creatures. 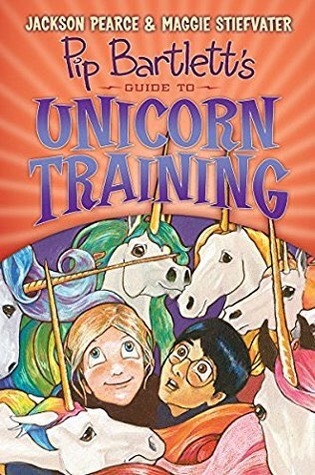 In this one, Pip and Tomas attend a competition and end up helping their old friend Regent Maximus, a unicorn terrified of literally everything, successfully compete. It’s adorable. It’s very well written, the illustrations are fantastic, and the story will leaving you gasping and laughing. There’s a bit of mystery in there, and I totally did not see that plot twist coming at the end. It’s a really quick read, and if you’re a fan of Maggie, I would definitely recommend it. Review: This was excellent. I don’t read a lot of science fiction purely because I find a lot of it just too over the top, or requires too much suspension of disbelief. Which I know is crazy because I read fantasy novels with dragons, but there’s just something about science fiction that I usually can’t get behind. This, however, did a really wonderful job at paying specific attention to the human aspects of its characters while also letting them travel through the universe, and thus sucked me in immediately. The story revolves around two major characters–Rhee and Aly. 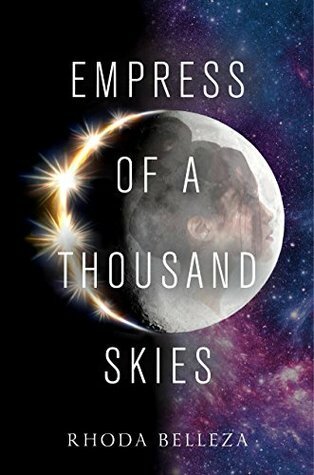 Princess Rhiannon is the only living heir to the Ta’an dynasty, though this might have been a mistake. After her entire family was assassinated, it appears someone is trying to finish the job as Rhee prepares to take the throne. Alyosha, born on Wraeta, which was destroyed by Rhee’s family, is just trying to survive, and doing pretty well for himself–until martial law is declared and Wraetans blamed for trying to incite war. Woah. There’s a lot in this book, but Belleza manages to really hone in on aspects that draw the reader in. We empathize with Aly, we’re afraid for Rhee, and we cannot wait for them to meet. The war, the racial injustice, and the assassination plot are all still very relevant, but they take a backseat to the characters, and this makes the story both relatable and easy to follow. I gave it 4 stars instead of 5 only because there was a lot of description lacking in this book. I think, because of the map, I was able to follow along and visualize things, but there were a lot of times when I didn’t know what their environment looked like. Review: YO, THIS BOOK. Let me tell you about this book. This was very hard to put down. There’s a blurb on the back of the book that says, “For those who have been sleeping too well at night.” AND YUP, PRETTY ACCURATE. Okay. So the story revolves around Nessa, who is going to be “Called” soon. Going in, I wasn’t really sure what that was going to mean. I was getting a Village-esque vibe from the cover and summary, and even from the beginning of the book. And then, are you ready? It’s my favorite thing in the world. HOMICIDAL FAERIES. My dudes, let me tell you, faeries are not to be trifled with. Now, quick history lesson, the first time I started reading Maggie’s books, I stayed away from her two faery books. Faeries, I thought, really? Yeah, really. After reading Maggie’s books, I dug into the lore a little to find out that faeries are definitely not nice, and will definitely steal your soul. So, there’s that. And this novel plays with the dark side of faery lore in an excellent way. Nessa, who is disabled, is determined to outlive the Call. Three minutes in the human world equals about a day in the faery realm, and if you survive those three minutes, you won’t be Called again, and you, well–you don’t die, basically. This book IS SO GOOD. I did give it 5 stars, and that’s because of the story and not the writing. The writing leaves a lot to be desired, but the story is so excellent that it deserved all five. It was absolute torture putting this down. I wanted to just read it straight through in one sitting, but wanted to live in the world so badly that I made myself spend three days with it. It’s riveting, and you’re never sure if Nessa is actually going to survive. Like I said, the writing is kind of not great, but the story is just so incredibly well done, it’s definitely worth the read. Review: Recently, I had a bad time of it with books. From probably May to August, I wasn’t really enjoying anything that I was reading. This time, when I went shopping, I made sure to be really choosy, and I originally wasn’t going to get this book. The last time I got a book haul, none of them were magical, and I think that’s part of the reason I was so disappointed in a lot of them. However, I was still writing the Pen boys at the time, and this book is about five boys, so eventually, I bought it. And thank something because wow. Right there on the cover–Five went in. Four came out. Oh man. This follows the story of the River Point Boys, five of whom went hunting one morning, and only four of whom came out alive. No one knows who shot Grant, and you don’t find out until the second to last chapter, I think. We see them mostly through Kate’s POV, though there are chapters that are told from a first person POV, and holy moly, guys, I thought it was one specific boy the whole time and was completely wrong. It’s your basic murder mystery with a romantic subplot, and it’s amazing. I was floored by how much I liked this. 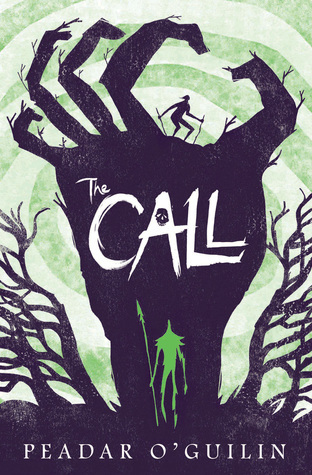 Like The Call, I didn’t want to put it down, but I didn’t want it to be over, so I took my time. IE: two days. Sure, whatever. The romance in this was so unexpected and beautiful, which probably made me love it even more. The boys, too, are so complex and so not what you think they are. It’s just–there’s circles and circles and circles in this book, and it’s a truly fantastic read. Review: I’ll be honest, I bought this book because of the cover. 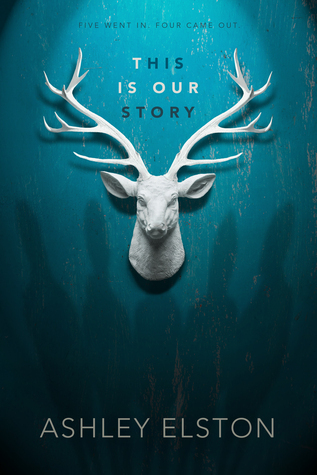 I judge books by their covers, and I’m sorry for that, but I’m not going to stop. However, when you’ve got an interesting title (come on, Witchtown, heck yes) paired with a really gorgeous cover, and it actually sounds interesting, that’s just a recipe for magic. 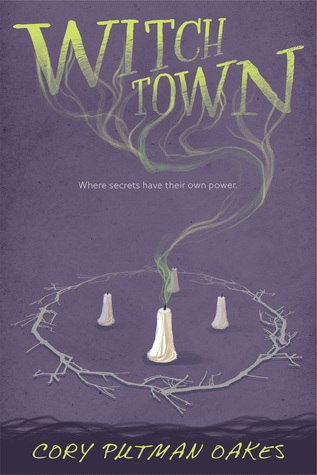 Witchtown follows 16-year-old Macie O’Sullivan, who is sick of jumping around witch havens and stealing from them, and just wants to settle down. She’s a Void, someone who cannot connect with magic, and so depends solely on her mother, Aubra. This is the story of their very last con, in Witchtown, and what exactly that looks like. Though this book was pretty predictable, it was also a fun read. There’s a lot of magic in here that I haven’t seen in other novels, and so I was really pleased–herbal magic, rituals, natural versus channeling. If you’re into witches, definitely pick this up. It just explores so much of the lore that most novels ignore in favor of standard spellwork and crystal balls. It also has interesting, complicated characters, and it didn’t give the villain a redemption arc, so that was pretty cool. All in all, fun, 5 stars for the lore, and well written. Review: Alright. I didn’t want to give this 4 stars, I wanted to give it 3, but that’s purely because it made me uncomfortable, so it deserves 4. This is a Peter Pan retelling, obviously, but it makes Peter the villain, and I’m just–not okay with that. But, setting aside the fact that there’s no way Peter could ever be a villain (he’s Peter Pan, guys), this was really well done. 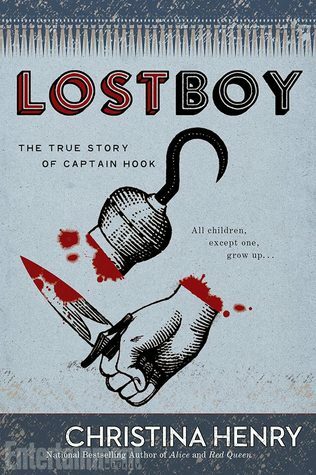 It tells the story from Hook’s point of view, starting with him as a Lost Boy and showing why he turned into Hook. Without giving too much away, it’s because of Peter that he becomes nasty, hateful Captain Hook hellbent on killing Peter. I will admit, too, that it makes that very plausible, and really opens up Hook’s character on a level we’ve never seen before. And Tink’s in it! This was not only well written, it took the story of Peter Pan and turned it onto its head. I could, in an alternate universe, see how this all could have happened this way. I’m upset about that because Peter is near and dear to my heart, but Henry managed to take the fierce, angry Captain Hook and make him sad, growing up Jamie. Fair warning, though, that some of the original Lost Boys (from the cartoon) are in there and die, and also that though Tink comes in at the end, she’s only described as a firefly and doesn’t show up all that often. There’s a lot of blood and murder and fire, and if you’re a Peter Pan fan, it’s going to be painful to read at times, but it is really well done, and I have to give it that. And that’s that! I’ve already read one book for the month of September, and I’ve just started the second, so keep an eye out toward the end of the month, or beginning of October, for September reads! Next Next post: #vampiredetective… or not?